If you are building an app for mobile devices which plays, records, or transcodes video on mobile devices it can be challenging. Video is a complex task and the hardware doesn’t always cooperate. 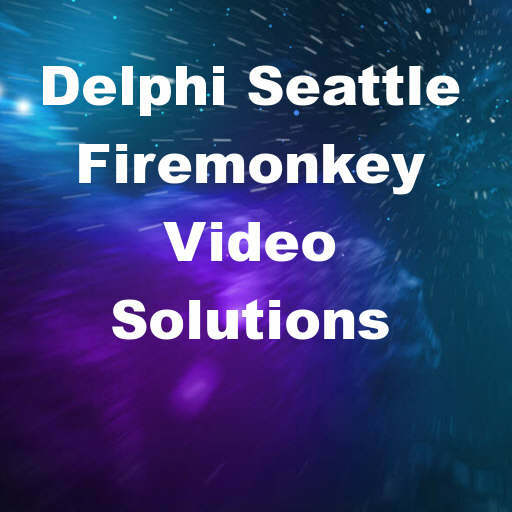 There are a number of different native and third party solutions you can deploy with Delphi 10 Seattle to get video working in your apps. One of the main providers of video components for Firemonkey is FlashAV Software Corp. They have recently upgraded all of their components (which are wrappers of the FFMPEG library) to support Delphi Seattle. You should be able to use the below solutions to build video support into your apps on Android, IOS, OSX, and Windows. These components and solutions should also work with Appmethod and probably C++Builder. TMediaPlayer – Built in media player component in Firemonkey. DPF IOS Native Video Demo – DPF IOS demo which demonstrates capturing video on IOS. FFMPEG Player – Windows and OSX video player via FFMPEG for Firemonkey. Commercial. FFMPEG Player – Android video player via FFMPEG for Firemonkey. Commercial. FFMPEG Player – IOS video player via FFMPEG for Firemonkey. Commercial. FFMPEG Transcoder – Windows and OSX video transcoder via FFMPEG for Firemonkey. Commercial. FFMPEG Transcoder – Android video transcoder via FFMPEG for Firemonkey. Commercial. FFMPEG Transcoder – IOS video transcoder via FFMPEG for Firemonkey. Commercial. Android Native Player – Video player component which wraps the native video APIs on Android. Commercial. Android DLNA Media – Client/Server component for interfacing with the DLNA media devices on Android. Commercial. TTMSFMXWebBrowser – Cross platform web browser component which could play HTML5 video. TWebBrowser – Cross platform web browser component which could play HTML5 video. Native Android Recorder – Record video using the native video software on Android.